The Signature 6" DPN product line features US 1/ 2.25mm – US 8/5.0mm. 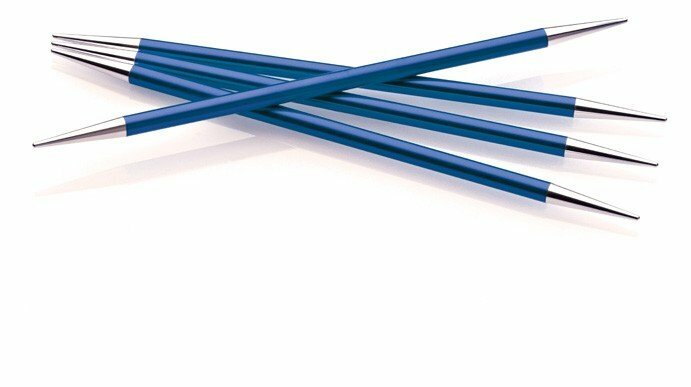 These needles are constructed from aircraft quality aluminum and feature a slip/grip manufacturing combination to keep your yarn and your project on your needles. Signature 6" DPNs are created with a Stiletto – Stiletto profile combination for optimal hand comfort. All DPN sets of 5 needles are shipped in a Signature DPN storage tube and can be custom engraved for an additional $ 15.